Some other candidates in the same price range include the MSI K9N2GM-FIH (AMD) and the MSI P6NGM-FIH (Intel). An attractive feature of all of these boards is the onboard video. I should not need a discrete video card with the use of these motherboards and this will be one less aspect to deal with during the build. 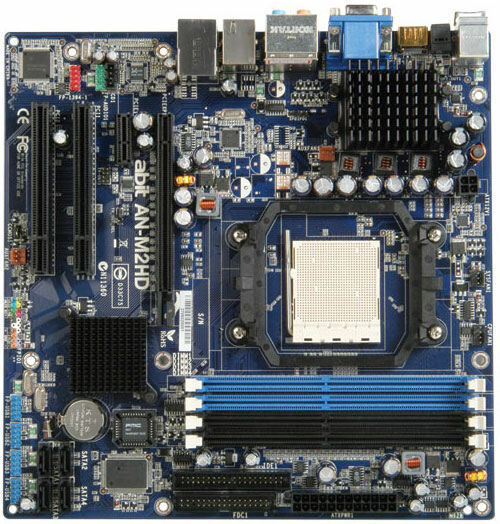 Before buying any board, it’s a good idea to check linux compatibility and see if the board is being used by any other MythTV users. Aside from Google, some other good sources of information is the MythTV mailing list archive and the Knoppmyth forum. There are probably other good sources, but I seem to gravitate towards these two.